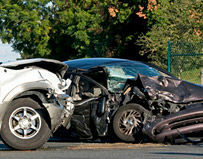 You can be the safest driver on the road, but that will not always protect you from the negligence of other drivers. 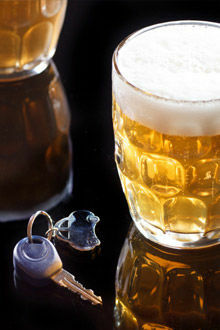 When a motorist drinks and drives, he or she is placing your life into his or her hands. The decision to get behind the wheel after drinking is a decision that can hurt someone forever and can end lives in an instant. At the Fata Law Firm, we understand that you place a certain level of trust in other motorists with whom you share the road. If a drunk driver has caused injury to you or a family member, Nate Fata, a well respected attorney for drunk driving victims, can take immediate legal action to protect your rights. An act of negligence can change your life — obtaining legal help that truly understands the impact this drunk driving accident has on your life can be life-changing as well. Our firm represents motor vehicle accident clients throughout Horry County, Conway, Myrtle Beach and the surrounding areas of South Carolina, providing the high quality of care they deserve. If you were injured by an intoxicated driver, or if your loved one was killed by an intoxicated driver, our law firm can explore every legal option available to you to maximize compensation. For example, you may be able to obtain punitive damages or pursue a claim against the bar or establishment that served alcohol to the driver. Punitive damages can be sought against the negligent driver, sometimes even if he or she was not arrested or convicted for driving drunk. In a dram shop lawsuit, we can show that an establishment served alcohol to the driver when he or she was visibly drunk and should not have been served. In the event of a hit-and-run drunk driving car wreck, we are experienced in handling uninsured and underinsured motorist claims. If the other driver does not have insurance or flees the scene of the car wreck, we can help you obtain compensation under your own auto insurance policy. While crashes involving drunk driving have the potential to be highly complex, the Fata Law Firm has the capacity to address your problems in a professional, experienced and effective manner. 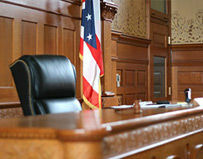 We seek fair compensation for losses related to your personal injury or wrongful death claim. If you were injured or if a family member was killed by a drunk driver, speak to us today to learn about your rights and options. 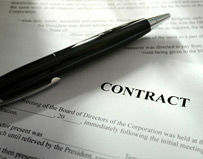 Contact the Fata Law Firm.